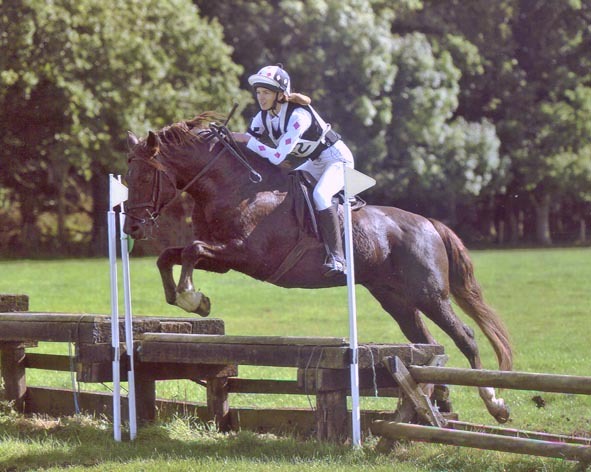 The year got off to a sad start with the loss of our very special foundation stallion Burley Branston. He had been with us for twenty three years and was a fantastic ridden pony, stallion and best friend. The majority of Hollybrooke stud bred ponies are either sired by or closely related to him. The two photos below show what an amazingly versatile pony he was. 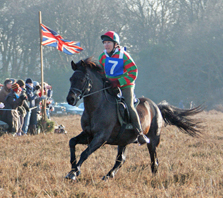 In one he is performing the quadrille at the Royal Windsor Horse Show and in the other he is winning the Boxing Day Point to Point. As all ponies we have bred and still own are now too old to contest young stock classes our in hand visits to the show ring were entirely limited to mare or stallion classes this year. Hollybrooke Ruby won the championship on her first outing of the year. Hollybrooke Melitta, saved her best performance for the Breed Show where she won the senior small yeld mare, the mare championship (for the second year in succession) beating the winners of ten other mare classes and was then reserve show owner breeder champion. 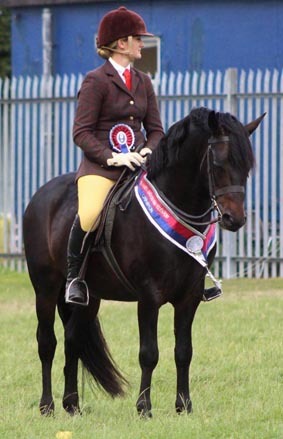 She is sired by Burley Branston, who twenty two years earlier won the forest run colt championship at the same show. Our four year old filly Hollybrooke Grace has been an absolute super star. It was our intention from the time we first sat on her in March to have a go at the novice ridden class at the Breed Show. We like to do some basic dressage with our young ponies and as part of her early education, she did five Intro dressage tests. She was placed second in two of them and won the other three. Towards the end of the summer she progressed to Prelim Tests and was equally successful. At the Breed Show she won her novice Prelim test and then the cup for the highest score (74.04%) from the Novice and open sections. We were unable to find a novice ridden class for her before the Breed Show so when she entered the ring it was her very first attempt at a ridden show class. She had never been ridden with more than one horse for company so cantering round the ring with lots of other was a totally new experience. She took it all in her stride and her dressage training showed when she did a balanced, obedient and accurate show. To my utter amazement she won, the judge was very complimentary both about her manners and her conformation. 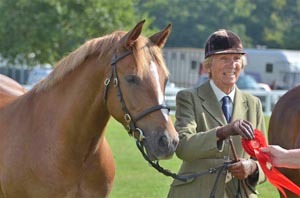 As the photo shows she returned to the Show the following day to take second place in a hugely competitive junior large yeld mare class. She is now having a holiday over the winter and we hope she will be able to contest some NPS Picton qualifiers next spring. Hollybrooke Tinker and new jockey Halle Murawsui have been out having fun in a variety of disciplines. They won a M&M working hunter class and the working hunter championship at only their second outing together. 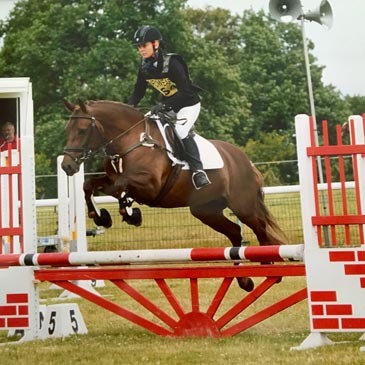 They qualified for both the NPS Ringside Stud M&M Open Ridden National Championship and NPS Young riders championship by winning the mixed M&M ridden stallion class at the Romsey Show. They also won an open ridden New Forest class. 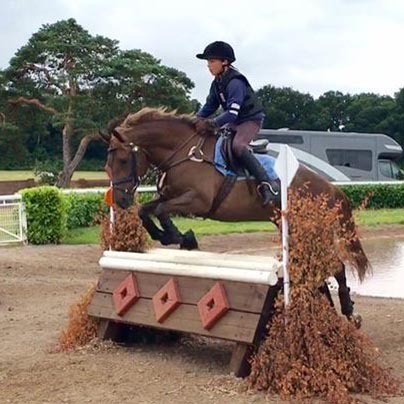 They have enjoyed some extra jumping experience during the Autumn cross country schooling and at hunter trials. 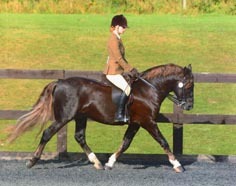 Hollybrooke Cappuccino who has been winning extensively in pony club one day events and dressage. 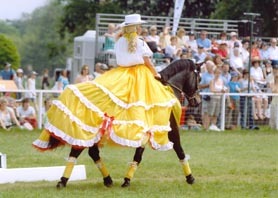 Hollybrooke Duke who has won numerous ridden classes and championships. 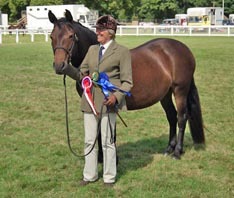 Including the supreme show champion at the Northern New Forest Show. Four ponies have left us for new homes this year and we hope that their new owners have lots of fun and success with them. 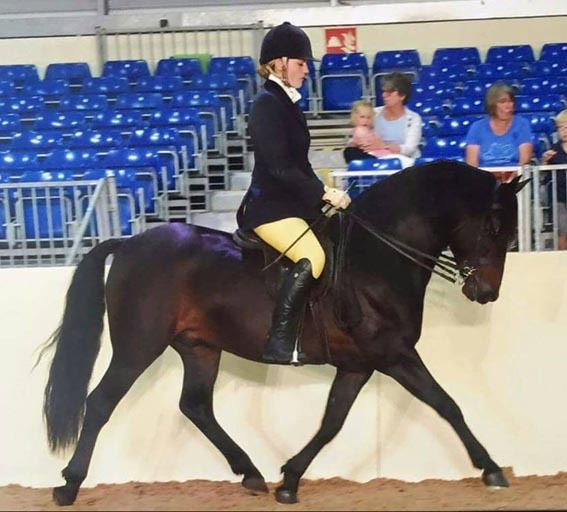 Our other stallion Hollybrooke Rambler has filled the gap left by Branston and has been John's second horse on the pony round ups. He is enjoying the experience and proving quick and agile across the Forest. Having not bred foals for the last few years, we decided this spring to cover two of our best mares. We sent Hollybrooke Melitta and Hollybrooke Sparkle to Green Cottage Ambassador as both mares are closely related to our own stallions. They are due in March so we are looking forward to next spring. Having not covered any mares with our stallions in 2016 it is our intention to make them available to approved visiting mares in 2017.